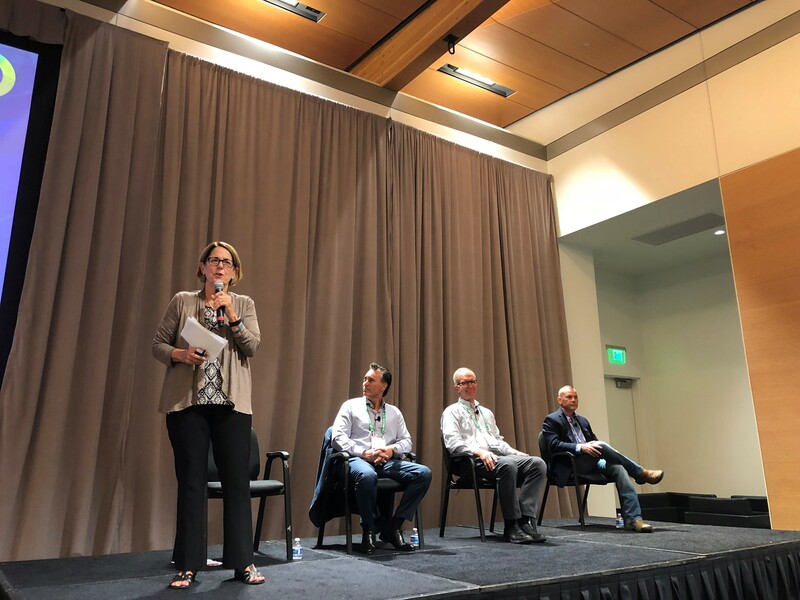 While organics are currently a small part of the California avocado category, the California Avocado Commission (CAC) demonstrated its support for the growing sector by participating in the Organic Produce Summit held in Monterey, California from July 11 – 12. The Commission joined more than 130 exhibitors at the sold out event, hosting meetings with retailers and handlers at the Commission booth to discuss the California avocado season and both conventional and organic opportunities. Commission staff met with representatives from Albertsons, Bashas’, Bristol Farms, Costco, Grocery Outlet, Kroger, Mollie Stone’s, New Seasons, Pavilions, Raley’s, Safeway, Save Mart, Target and Vons. Jan DeLyser, CAC vice president marketing, served as moderator of “The Organic Supply Chain — Opportunities and Challenges” panel discussion. Throughout the summit the Commission hosted an hourly raffle, providing winners with California avocado-themed gifts. The event, which had excellent attendance by retailers, was deemed a success as it provided the Commission with the opportunity show retailers in attendance that the Commission supports organics as well as conventional avocados. CAC Vice President Marketing Jan DeLyser moderated a panel discussion concerning the challenges and opportunities presented by the organics market. 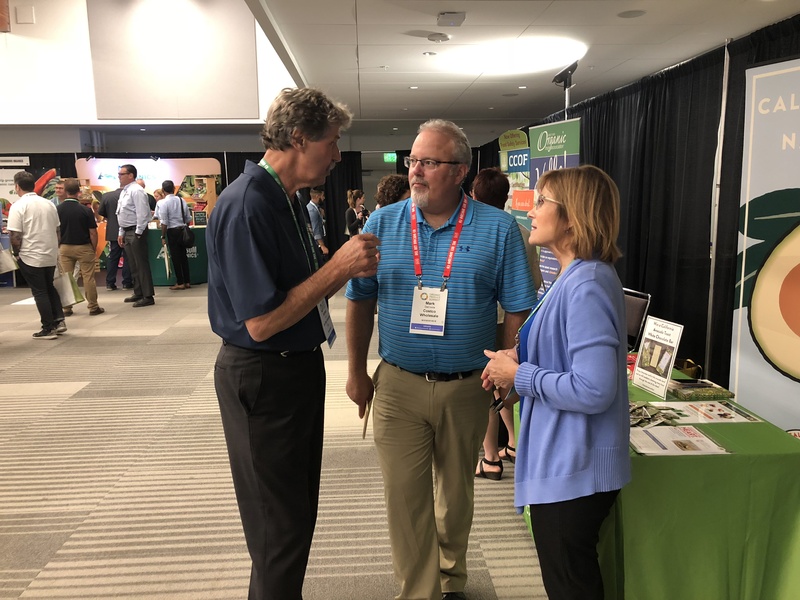 CAC Retail Marketing Director (RMD) Connie Stukenberg speaking with Mark DeCosta of Costco and Bob Lucy of Del Rey Avocado.